It was launched long back in other Asian countries and now Sony Ericsson Xperia X8 has landed in India to storm the Indian handset market along with Sony Ericsson Cedar.The former is a phone meant for the higher segment and the latter at a price tag of just Rs.8000 is for the mid-segment. Sony Ericsson is offering variety with the launch of these two handsets. The price of Sony Ericsson Xperia has been kept under 14K and is reasonable enough for a smartphone of that calibre. Xperia X8 is an Android smartphone offered at price of Rs. 13,900. It runs on Android v2.1 and was unveiled for the Indian buyers back in August. Other phones unveiled at the same time were the Sony Ericsson Aspen, the Cedar, the Zylo and the Spiro. While all the other phones have hit the market, Xperia X8 was anxiously awaited one. The Xperia X8 is supported on GSM GPRS/EDGE 850/900/1800/1900, UMTS HSPA 900/2100 and UMTS HSPA 800/850/1900/2100 network. Sony Ericsson Xperia X8 flaunts a 3.2 megapixels photo snapper to click pictures, shoot videos and the same can be uploaded directly on SNS as Facebook. The messaging features as Push email, IM (G-talk), Microsoft Exchange ActiveSync support with Dataviz RoadSync, MMS and Predictive text input are enabled on the phone. 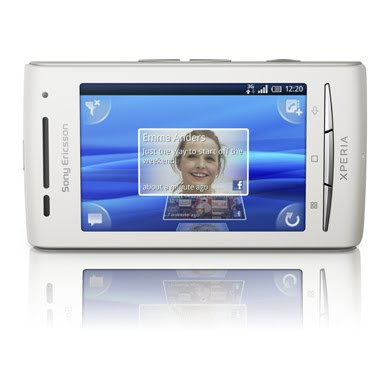 Xperia X8 has 3-inches wide HVGA capacitive touchscreen that offers 320 x 480 pixels resolution. Its speedy web browser supports quick video streaming and access to all kinds of social networking via Timescape. Its music player comes with PlayNow and TrackID. For fast data connectivity, there is Wi-Fi and Bluetooth. The phone has capacious 128MB of internal memory and come pre-loaded with a 2GB microSD card. The memory can be extended to an upper limit of 16GB. 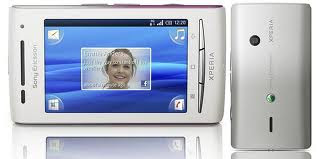 Xperia X8 also has location based service like A-GPS, Google Maps, Wisepilot turn-by-turn navigation in selected regions. 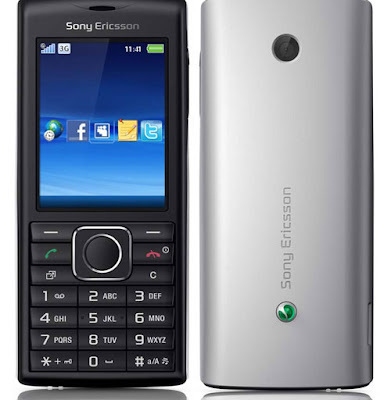 Sony Ericsson Cedar is a basic phone that comes with all the requisite features as 2MP digital zoom camera, video recording, MP3/eAAC+/WAV player with 3.5 mm audio jack, FM Radio, 3D games, full access to Net, social networking and expandable memory. Though a entry level phone, Cedar has good connectivity features as it is 3G HSPA enabled and comes with Bluetooth with A2DP and microUSB v2.0.